Southwark’s planning committee will meet next Wednesday to consider Grosvenor’s plans to redevelop the Biscuit Factory and former Southwark College sites in Bermondsey. The Duke of Westminster’s Grosvenor property firm wants to build more than 1,300 homes in a series of building up to 28 storeys high. 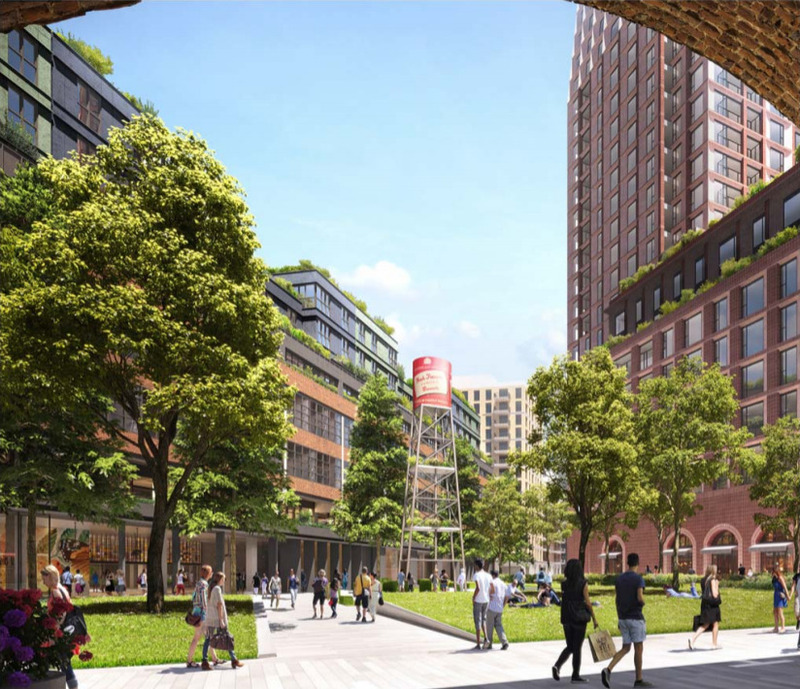 Rather than a conventional development of homes for sale, Grosvenor is proposing a build-to-rent scheme which will see it retain ownership of the site. However, the firm has not been able to reach agreement with the council over the maximum viable provision of affordable housing. Planning officers are recommending that planning permission be refused due to insufficient affordable housing, as well as concerns over density, highway safety and pedestrian routes through the railway arches. Grosvenor has offered 27.37% affordable housing, based on habitable rooms, with an average discount of 25% below market rents (ie rents payable of up to 75% of market rents). This would equate to 976 habitable rooms, or 322 of the 1342 homes. The council points out that to be able to live in Grosvenor’s proposed ‘affordable’ homes, couples or sharers would need to be earning around £30,000 each. Southwark planners contend that not only would the the proposed affordable homes fail to help those in the most serious housing need, but that Grosvenor could afford to provide a greater number of homes below market rental prices at a deeper discount. A Grosvenor spokesperson said: “Our proposals are for a neighbourhood that is accessible to the growing majority of Londoners who simply cannot afford to buy, do not qualify for social housing and want the advantages of a secure professionally managed home to rent. You can see the papers for the meeting here. Blimey 1300 rentals on that site. Packing them in and maximising profit aren’t they. That’s much worse than the plans British Land has for Canada Water. How tall will they go? We have a housing shortage, get them built! @Dwayne Malenko : would you be able to pay £350pw + bills? Because that is the starting price. The fact of the matter is it’s in zone 1 an expensive part of London, unfortunately that’s the going rate. Land costs are huge, how is it supposed to be viable if market rates can’t be charged?